If you’re considering working with a life coach, you have good reason to be both excited and wary. 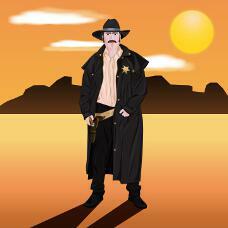 The world of life coaching has been compared to the Wild West, a rule-free place where anything goes. The result is a dizzying array of options for you. Odds are that somewhere in there, you can find coaches who would be wonderful matches for you, but you may have to kiss a few frogs before you find the coach of your dreams. Life Coach FAQ is here to help. What goodies are here for you? I’ve created Life Coach FAQ to help you make good decisions for yourself every step of the way in finding and working with a life coach — and to help you decide if working with a coach is worth the bother for you. You can see the range of your options and figure out what, if anything, you want from life coaching. I tell it to you straight — you’ll hear about the good stuff and the not so good stuff. Though I have my preferences, I try to present the pros and cons of each of the options so you can decide what’s the right fit for you. The site deals with everything about coaching, from the deep to the shallow, from the logistical to the theoretical. It is filled with information and support for you to be an informed, empowered coaching client. For a quick overview of the major sections on the site, read on. There isn’t one, simple answer to the “What is coaching?” question, but we’ll attack the question from several different angles so you’ll have a sense of the variety and breadth of the field. You can use the master list of coaching services to help you get a clear sense of what you want in a coach and to keep track of what different coaches have to offer as you meet and interview them. The list of coaching roles can help you understand the variety of approaches coaches take in practicing their craft. In this section, we look at a six-step process for finding a coach. Or, if you’re eager to get some names of coaches, you can read about where you can go to find coaches. You can read about why I don’t recommend using life coach qualifications to find a good coach for yourself and encourage you to trust your gut and judgment instead. And if you’re short on cash, you may want to check out some options for low-cost and free life coaching. The most important person in the coaching equation is sitting in your chair. The more you understand yourself as a coaching client: your working style, your values, what you want in life, what you want from a coach, how you like to be treated, the easier it’ll be for you to find the right coach for you and work with her in a way that suits you. Got questions about the practical logistics about coaching? This section will give you a sense of the range of different answers. The question that most people want answered is how much does life coaching cost? You can also learn about preparing for a life coach session and get answers to questions about the etiquette of life coaching sessions. You can learn about many of the cool things that coaches do, including two of my faves — baby steps to success and brainstorming — in this section. You can also use these techniques on your own. In my view, the wisest, most effective way to approach coaching is to take charge of your experience finding and working with life coaches. To think about what you want and keep searching until you find it. To trust your gut and only get into — and stay in — coaching relationships that feel right to you. Reading the rights of clients list is a great way to start feeling the power. I started coaching in 2002. Since then, I’ve watched the field expand and evolve. I’ve seen the coaching label applied to a wide variety of activities. I’ve seen things that excite me and give me hope. And I’ve seen things that disappoint, upset, and even offend me. I think coaching has the potential to be of great benefit to you, but it can also be a waste of your time or even leave you worse off. 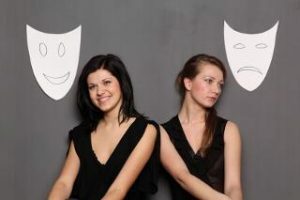 Though many coaches are honorable and truthful in their communications, you’ll probably run into some hype, exaggeration, and false promises as you research life coaching. You’ll also see coaching presented in different ways by different people. I was getting more and more frustrated with how difficult it was for clients to get solid information about coaching, to hear about both the good and the bad, and to see the wide range of options available to them. This site is my stab at remedying that situation. I’m delighted that you’re here reading it. If I could only tell you one thing about finding and working with a coach, it would be this: trust your intuition.